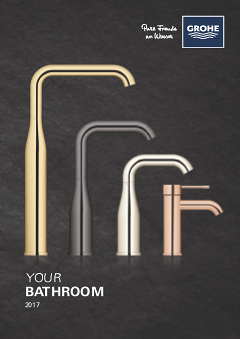 This shower tap of the GROHE Essence range is crafted in an elegant design of cylindrical shapes. Finished in durable GROHE StarLight® chrome, this single-lever mixer comes with a rich luster making it an attractive eye-catcher in your bathroom. A quick wipe with a dry cloth is enough to keep it looking shiny and new. To install this single-lever mixer, please purchase the matching GROHE concealed body 35501000. With the GROHE SilkMove® cartridge technology integrated in the concealed body, water temperature and volume can be controlled smoothly and effortlessly, making this shower tap a perfect choice for your bathroom.